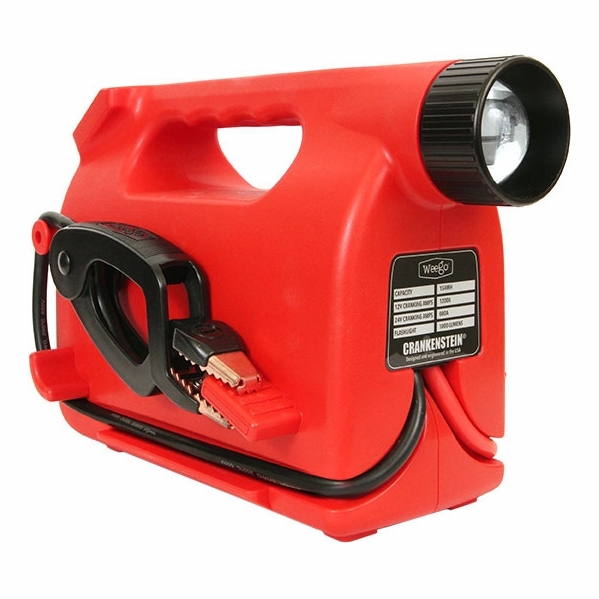 The ultimate compact, safe, reliable, and smart tool for any vessel, dock, or boat yard. 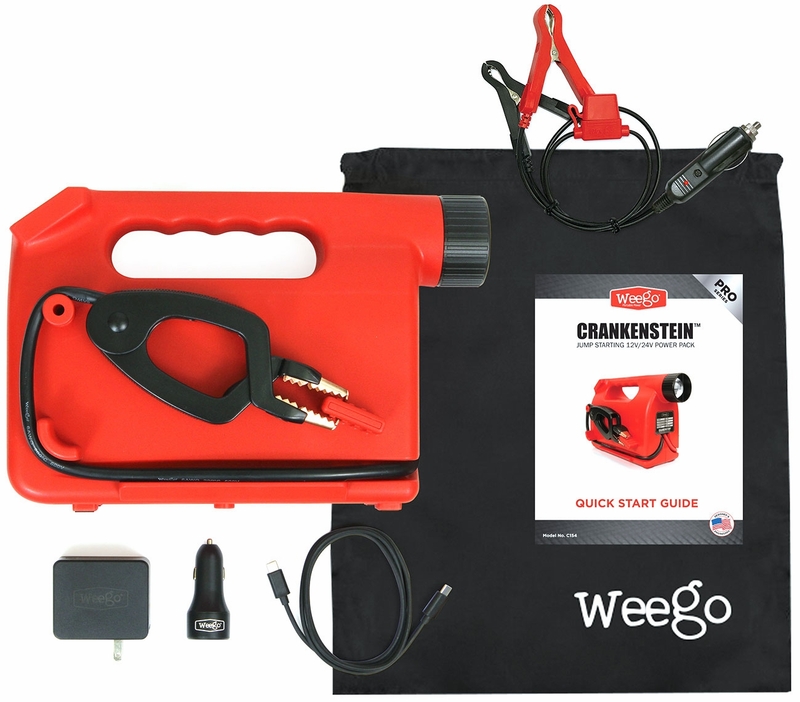 The WeeGo Crankenstein 12V/24V Jump Starter will increase your productivity by decreasing vehicle and equipment down time. The WeeGo Crankenstein is the ultimate compact, safe, reliable, and smart tool for any vessel, dock, or boat yard. This 9 lb. jump starting monster capable of jumping gas and diesel engines with 12V or 24V battery systems is a full replacement for your 40+ lb. lead-acid jump packs. 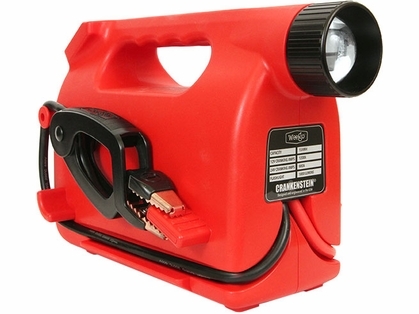 The Crankenstein boasts an ultra-stable, high performance lithium-iron phosphate battery and an intuitive operation that requires zero training. Additional highlights include an OLED screen, and new smart technologies such as a digital voltmeter, sub-zero jump starting capability, patent-pending Connection Detection, and comprehensive built-in protections to walk users through a safe, dependable and successful jump every time. 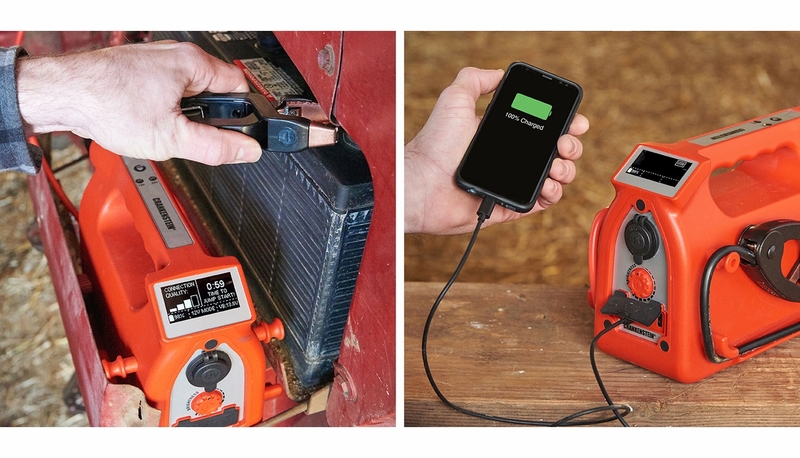 This multifunctional, convenient portable power source also includes an industrial-grade 1000 lumen adjustable work light, 12V CLA port, USB-C charging kit and lightning-fast USB ports. Advanced battery power and technology gives the WeeGo Crankenstein equal power to its lead-acid counterparts while weighing 80% less than lead acid jump boxes. For faster and easier jumps, Crankenstein displays the quality of your battery terminals connection so you can adjust to achieve maximum connectivity and minimum resistance. The OLED screen clearly communicates warning messages, vehicle battery voltage, and other information for easy and safe usage. 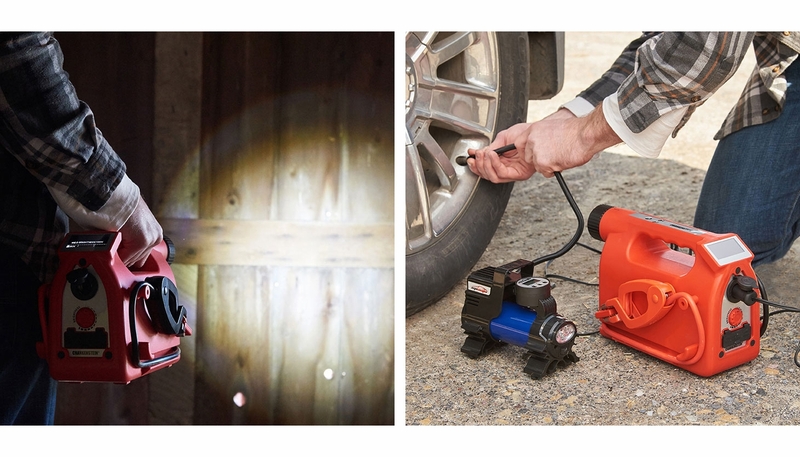 Power 12V tools and accessories through a built-in CLA port: inverters, compressors, OBDII Memory Savers and more. Fast-charges phones, tablets and other portable devices. Includes both USB-C and USB-A charging. Crankenstein recharges in just 6 hours! Get a year of standby power on a single charge too. Built for years of daily use Crankenstein lasts up to 2,000 charge cycles. 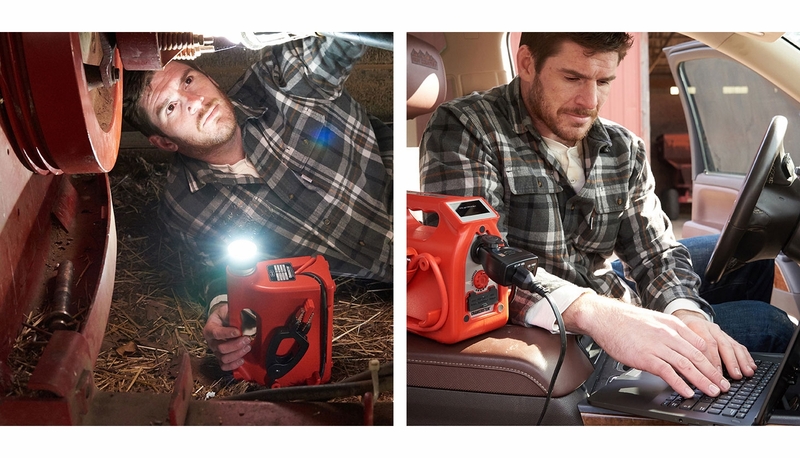 Lights a workspace up to 30-hours with a 1,000 lumen flashlight. Includes adjustable focus, brightness, strobe, and SOS. Crankenstein's reinforced case is built to withstand the rigors of repeated use and handling on a boatyard. It is IP65 rated for water, dust and dirt resistance. Weego's Hotfoot technology allows operation in temperatures as low as -28°F, warming Crankenstein's internal batteries to -5°F for an assured jump in extreme cold. 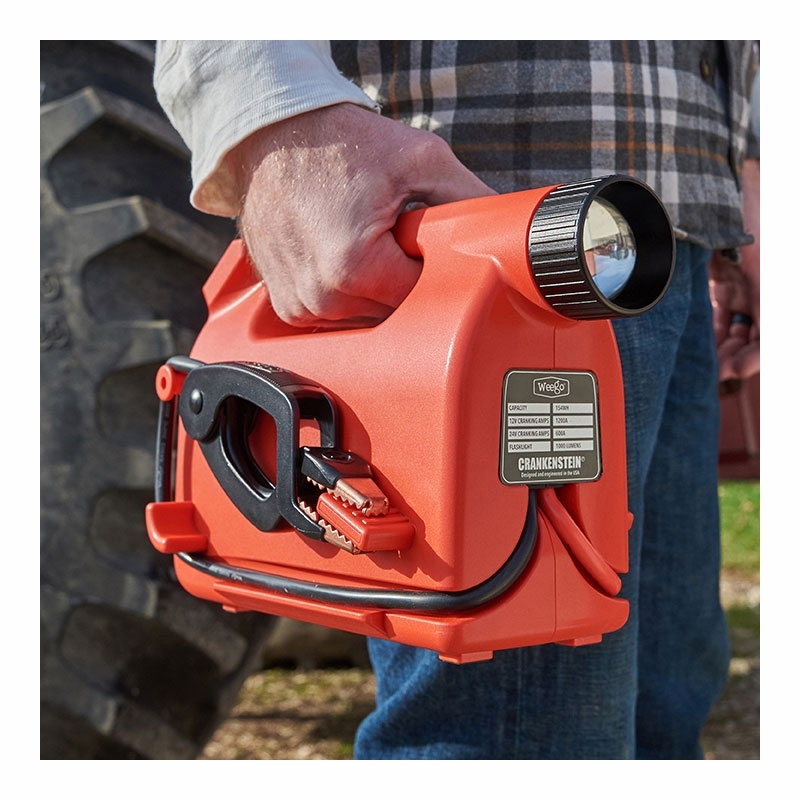 Reverse polarity, over-current, anti-spark, voltage detection, over-discharge and temperature protections are built-in to ensure the jump starter, equipment, and user are safe. WeeGo's in-house development team combines innovation with the practical needs of their customers to engineer the most safe and reliable lithium-ion products on the market. They design, engineer and test their products in the USA. WeeGo products are certified IP65 for unpredictable and demanding environments. They are backed by dedicated, responsive customer support and a comprehensive warranty.